More and more young people admit that they have experimented with cocaine. New data from the Home Office shows one in five 16-24 year olds took illegal drugs in 2017/18. Cannabis still remains the most used drug with some 16.7% saying they had used it over the same period. Worryingly half of the teenagers aged 16-19 said they would find it very easy to get illegal drugs within 24 hours. At the Birmingham Cocaine Help Centre we seldom see clients younger than mid twenties for a cocaine addiction as before that, people don’t even realise that they are gradually getting dependant on illegal drugs. Sometimes its a psychological dependance that develops over time and has all the same feelings of an actual addiction as the brain has wired itself to link going out the weekends = drug use = having a good time. This is a hard link to break and when people try to stop taking cocaine on the weekends, then they realise they can’t and they have a dependance on it. It can be a worrying time, realising that you are no longer in control of the cocaine, it is controlling you. Some clients tell us, they don’t even enjoy it anymore but they do get exited about getting it. Then its “Oh no, I better take it now” and they continue using cocaine. They are stuck in a vicious cycle of cocaine abuse and can’t stop. some abuse cocaine secretly at home whilst others still do it out with their mates, caught up with the bravado of it being part of their lifestyle . If you have a problem with cocaine or someone you know does. Please visit Debbie Williams purpose built website www.Birminghamcocaineaddiction.co.uk where there is so much help and tips to get your mind in the right place to stop using cocaine. We have loads of video testimonials from clients who gained back control over their own minds and set themselves free from their cocaine habit watch them here. On this website we also have help for gambling , binge drinking and PTSD as well as self help for cocaine addiction including our downloadable programme to stop cocaine abuse for only £19. You may have seen the recent programme Gordon Ramsey On Cocaine, where chef Gordon Ramsey leads a documentary on how cocaine is not only rife in society, but also in his restaurants. Debbie Williams is an expert in cocaine addictions, see all the testimonial videos below, call 0121 241 0728 when you are ready to get some help to stop abusing coke. David Dempsey a talented chef and friend to Gordon Ramsey fell 40 feet to death as an act of delirium linked to coke. Gordon’s own brother got into cocaine then heroin. Drugs sold in the UK each year cost society £10.7 billion in policing, healthcare and crime. Over 140,000 crimes committed including shooting, stabbing with drug related theft costing £6 billion alone. Many road deaths linked to cocaine being used by the driver. Ive had clients tell me they have sniffed it as they travel along the motorway. For every £1 invested on treatment and prevention £2.50 is saved, research has showed. Presently 2.7 million 16-59 year olds in England and Wales take illegal drugs, which is actually down from 10.5% a decade ago to 8%. What we do is the most effective as it really gets inside your mind to help break the hold cocaine has over you. We have worked with people who have tried re-hab, tried detox, tried 12 step programmes, tried specific phase signal frequencies, hypnosis, NLP and its not been enough to help them. See our client testimonials from actual clients as they can speak better for us that we ever could. Over 20 real people talking about their experience . Over 30 videos in the playlist some with helpful suggestions to get you started on the road to freedom. Then give us a call 0121 241 0728 or book online here a double breakthrough session. This is not true for cocaine which Britain consumed 30 tons per year, which is more than any other European country. UK gone up 400% in last 20 years Coke related deaths going up all the time. Up 16% from last year. In Columbia over 1 million people are involved working in the cocaine trade. Many just to survive and feed their families. It’s a 40 billion pound industry. Its the drug barons and cartels who hoover up the money. They order killings and bribe police and government officials in order to carry on their business. In Honduras there has been 430 murders in the last 2 months related to the cocaine trade. Gordon watches how cocaine is processed before it gets to the end user. The coca leaves are mixed with cement powder, sulphuric acid, then dowsed in gasoline. Battery acid then helps separate cocaine from gasoline, bicarbonate of soda is added and then everything is dried. It’s cooked to take out impurities, then turned into paste. It is then sold on by the farmer (who faces 20 years in jail if caught) and more chemicals added before it’s ready to be sold again where it is cut and cut again with more hazardous, toxic, poisonous and some cancer causing chemicals. £35,000 per kilo wholesale then £100,000 street value. Nowadays it can be diluted into liquid and put into bottles rum 2 grams into 1 mililitre of water 1/4 of a kilogram of cocaine hydro chloride. If you drank one mouthful, you’d die. A 25 ml shot contains 8 grams cocaine. Other ways is to use drug mules who swallow bags of cocaine which works its way through the body, intestines out through backside. If you have a gambling addiction and feel you need to get some help to stop gambling, then these series of FREE videos by Birmingham addictions expert Debbie Williams will help. Watch this intro video to find out more. If you really do want to overcome your addiction to gambling, these videos will really help you to succeed. There is a life waiting outside of gambling. Also please watch the testimonial video further down the page from an actual client talking about his success. If you are serious about dealing with your gambling problem, then please bookmark this page and go through the exercises on the videos to help break this destructive habit. Your brain has learned to link pleasure to the high of gambling and winning but it hasn’t connected the dots to how it will feel later when you lose all your money. What has gambling done for you lately? How much have you lost thus far? Do you keep going when you’ve won until you lose the lot? Do you feel invincible and think you are guided ? This video can help you to overcome any addiction. It teaches you how to manage those urges to gamble. The intensity of the urges cause you to gamble. With this simple tip you can easily manage the few minutes of intense craving to get to the point where it wains. You will need to listen to this hypnosis trance to stop gambling often. Everyday for at least a month, ideally make it part of your daily routine to listen to it to help you to have mastery over your own mind. If you would like to work one to one with Debbie Williams, you can see the costs here. Along with over 25 video testimonials from actual clients Debbie has helped. Also Debbie Williams Blitz Negative Thoughts Programme will help you to have mastery over your own mind. It will help with lifting stress, anxiety, worry, OCD, depression and so much more. It’s like having the owners manual for you brain. Click the link above to find out more about this programme. You may or may not of heard of the NLP spelling strategy. In fact there isn’t a definitive one, there are many variations using NLP on how to spell. This version was developed by my son when he was only 8 years old. He then went onto write a book “The Secret Spell To Spelling “ which if you click the link you will see for sale on Amazon. It is a great support to the free videos on this page teaching you Alex’s NLP spelling strategy as it has lots of other useful ideas to learn and master spelling in a fun way. Alex and I have taught his NLP spelling method at the London Excel exhibition centre where it was recorded. Here is the first video teaching you the NLP spelling strategy. If you are interested in how this NLP spelling strategy could help anyone diagnosed with dyslexia then please scroll to 9 mins 55 seconds in. The final video from the EXPO presentation in London with NLP Life Training. If you are a teacher or know one, please feel free to share these videos to teachers, parents and students as they will really help to master spelling with ease. More help with Debbie Williams using Alex’s NLP spelling method to help those with dyslexia. The book “The Secret Spell To Spelling “ has more info to help you too. Complete playlist for compulsory school spellings recorded with Alex Mole-Williams and mum, Debbie Williams. Playlist for the hundred words children have to learn in year three and four. Heavy cocaine abuser stops with ease. If you want to stop being a cocaine abuser then Call 0121 241 0728 and lets get started. If you want help to stop being a cocaine abuser book a session now Cocaine addictions expert Debbie williams has helped 1000′s over the years overcome their cocaine abuse and coached them to be happier more wealthier, healthier individuals. You can hear real stories from real people who Debbie has helped. People have flown in to work with her as there is no one as experienced and successful in getting people free from their destructive habit. She has a 80% success rate over 3 sessions ( 1 double breakthrough session followed by 2 single sessions spread over 2 months) and a 95% success rate in 5 sessions. Watch over 30 videos from former clients who Debbie has helped. This playlist has loads of videos with useful tips. Please subscribe to our channel and contact us when you are ready to stop. 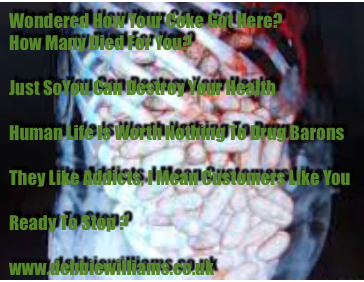 Visit Debbie’s purpose built website www.Birminghamcocaineaddiction.co.uk where there are tons of free support for giving up your cocaine habit. Please note 99% of clients would NOT go on video. Most want to get over their cocaine habit privately. Bookmark this page and number 0121 241 0728 for when you are ready to stop. We have so many testimonials for overcoming cocaine abuse, many of them actual videos from people who are now free of their addiction to cocaine. Here is an email which came today, cancelling a session on Friday as it’s not needed. Six weeks have gone by with no slips ups and a completely changed mindset. I hope you are well? I have been having a chat with my family and partner and I have decided to not continue with my sessions for overcoming cocaine abuse for the immediate future. Reason being is positive though! I have been in a good place for the last 6 weeks and even well onto my way with my saving for a house and also started plans for setting up an extra little business on the side! I haven’t had any slip ups and found a little exercise, eating well and just an awareness of not wanting to feel rubbish or go backwards has really helped me, along with great support. I plan on coming back for a few sessions once I have finished on this mini conquest and got to these goals, as I feel it would be more beneficial to help me move to the next step of complete recovery and also my next life goals. There is also talk of promotion for me in the near future to which I no doubt will need your help and guidance when I have those added pressures! So thank you and I’ll be in touch when I am ready to go to the next step! Or calling 0121 241 0728 please visit our new purpose built website www.birminghamcocaineaddiction.co.uk for lots of helpful tips to get you on the right path and mindset to quit. Drinking A Bottle Or More Of Wine? Many clients contact Birmingham addictions expert Debbie Williams as they can’t seem to stop drinking wine most nights. They have formed a habit and are finding it difficult to break. They have trained themselves to get relaxation, or switching of from the end of the day with a glass of wine, which often leads to the whole bottle. The first glass becomes a trigger to the brain it’s time to switch of and chillax… The trouble is, there is no plan once you get that good feeling from wine to stop drinking any more. Alcohol switches of the internal dialogue which may suggest “You’ve had enough now” so you carry on drinking until it’s all gone. My video here on how to stop drinking wine may give you some ideas to help you. When I work with clients who feel they have a problem with alcohol and drink wine every night (or most nights) we come up with a plan and some rules. This week it’s Tuesday and Thursday plus the weekend but your goal is to have only 2 largish glasses and then hydrate with mineral water or another soft drink. Is drinking wine making you depressed ? She came to me with depression but within a week of her practicing this strategy, she said she didn’t feel depressed. She woke up in the morning and felt energised and alive rather than hung over and groggy. It really helped her to break the pattern of having a drink of wine every night. Aim to go all week and make it a rule that you don’t drink weekdays. Again 2-3 glasses max at the weekend. Keep going until you succeed. We have truth in this plan. Once you become awake to the fact that it is the first or second glass that gives you the good feeling. It will help break the spell wine had over you. What do I do instead ? Drinking wine, served a purpose to you, so you need to put something in place of this to give you some of the benefits that alcohol gave you. Luckily good hypnosis can do just that. It can switch things of for you at the end of the day. It can help you relax and chill. Not only that, good hypnosis can get your brain on solution focus mode. They more you listen to trance the more motivated you will become to sorting things out in your life for the better. Pulling yourself out of the rut that alcohol had become for you. Find out more for treatment for binge drinking as well as watching a video testimonial, hearing what changed, not only for her, but for family members too. Debbie Williams has a self help hypnosis download called stop binge drinking which has exercises to help you to overcome your old binge drinking pattern. Click the link to download your copy now for only £19. If you want one to one help to stop drinking wine you can book a double breakthrough session at the Birmingham clinic here. If you binge drink and want some help to overcome binge drinking then Birmingham expert Debbie William’s treatment for overcoming binge drinking will help you to get back control. The treatment will include learning how to enjoy alcohol in a moderate way and retraining your brain to know when to stop. See this testimonial for Birmingham binge drinking specialist Debbie Williams treatment. Its powerful as the lady shares how she would black out and has broken bones previously because of her binge drinking habit. Many people get into the habit of binge drinking at weekends. They wake up Monday morning with a thick head and a week of work ahead of them. Binge drinking in this way can become a habit that seems difficult to get out of. After all the first few drinks are relaxing. The reason being is that drink switches of our internal dialogue. So for a time our stresses and worries are gone. A binge drinker doesn’t appear to have an off switch and continues drinking way past the merry state. This is also because the internal dialogue is switched off and there is nothing to stop them. The binge drinking treatment that hypnotherapist and NLP trainer Debbie offers includes installing strategies of those who can drink moderately and giving you an off switch. Many binge drinkers worry that they are becoming an alcoholic. This is seldom the case. It really comes down to having a lousy strategy. Most regular drinkers think about going out having a nice night with friends and a few beers. A binge drinker thinks ‘I’m going to get wasted tonight’ or something similar. Their brain is only following instructions. Even thinking things like ” I hope I don’t get plastered tonight” can programme you to do the things you don’t want. Don’t think of the colour blue. it’s now in your mind. With hypnosis and NLP the treatment includes putting a support team in your mind to help you to learn to enjoy enough alcohol to get pleasantly merry and to see yourself coming home with a smile on your face knowing you have stuck to the plan and had a really good time. In fact a much better time as you were actually present, there, connecting with friends and not off your face. There is a self help hypnosis download that has exercises to help you to overcome your old binge drinking pattern. Click the link to download your now for only £19. If you want one to one help you can book a double breakthrough session for stopping your binge drinking here. 15 years of taking coke, I wanted to stop but each weekend I did it again. I couldn’t face sitting in a room with down and outs, surely I can’t be that bad. I stopped with Birmingham cocaine treatment help centre straight away. I felt great and my sales went up 10 fold. Call when you are ready to stop 0121 241 0728 or book online here. Hear another testimonial for Birmingham cocaine treatment with expert Debbie Williams of how she has helped him and what a great holiday he has had over the christmas period. Being able to be present with his kids and generally enjoying life more. Book a session and be free from cocaines hold now. What Happens With Birmingham Cocaine Help? Hear cocaine addictions expert Debbie Williams talking about how she works within a session to help you to break the hold that cocaine has on you. Many users binge on cocaine once a week and cannot stop. Others do it daily and some still manage to hold down a job. You will feel so much healthier and happier free from a coke addiction. You will be wealthier too. I used to binge weekends and Wednesdays. I’d feel so crap the day after. I have so much energy now. Ive had a haircut and smartened myself up. Luckily I have a good job and supportive employers. I’ve cleared my debts with the money I’m saving not using. Best money I’ve ever spent coming to see you. You are right. Cocaine puts a heavy cloud over you and its now gone. Hear from a most skeptical client who didn’t believe that Birmingham cocaine expert therapist could help. See more testimonials here for overcoming cocaine abuse. Going Into Hypnosis – How Does It Feel ? How Should I feel going Into Trance? Going into a trance is something you have done many times already in your life. At school did you ever stare out of the window for what seemed like a long time but also no time at all? Then as when the school bell rang, you were back in the room gathering your books together? You Were In A Trance. Have you ever travelled somewhere in a car and arrived but forgot the actual journey? Yet if someone stepped into your path you would instantly put your foot on the brake. Ever daydreamed or lost yourself in a good book? If you were to remember a particularly relaxing holiday it can take you into trance. With your eyes closed if you can see or sense in your minds eye what you saw, hear what you heard as you imagine all over again what it was like on that holiday, perhaps by the pool or beach or walking in nature, you will re-elicit those feelings of relaxation. The feelings you may experience during trance are similar to dozing of to sleep. The suggestions given by the hypnotist can aid muscle relaxation, elicit the relaxation response as you take deeper, longer breaths, it will naturally change the heart rate, increase oxygen consumption, skin temperature changes and blood flow. People say coming out of a hypnotic trance that it is similar to how they feel after a massage and some say it is similar to the heightened feelings experienced by taking certain recreational drugs! Each persons experience will be unique to them. If you have meditated, then you will notice the similarities. You will feel like you hear everything being said and as your eyes are closed you have more awareness of your breathing. Occasional involuntary movements like fluttering of eyelids or twitching and even mild jerking movements occur as the sympathetic nervous system associated with conscious activity gives way to allow the parasympathetic nervous system to take over. What about the depth of trance? The more you listen to hypnosis, the more deeply you will find yourself going. The first time can be a bit strange and you may not allow yourself to fully let go, as you want to hear what the hypnotist is saying. This is how it should be. Trust is built up over time. If I see clients over a 3-session period, then the third session they report “Gosh I went really deep then” this is because positive changes have already happened and the trust is built. You don’t need to go deep for hypnosis to benefit you. After a time of relaxation suggestions follows ones to help you to reach your goals. Your mind begins to realise this is important to you and will help you to achieve what you’ve set your sights on. In my Birmingham clinic I often give this type of client a hypnosis recording to listen to with the instructions to listen to it everyday for a week with their eyes open. What happens by the end of the week, the person has heard every word on the recording and fully understands I’m not suggesting they cluck like a chicken or any other unacceptable suggestions. They allow themselves to close their eyes and often drop into a deep trance as their unconscious takes over as it’s drawn to the beneficial suggestions and has been patiently waiting for the conscious mind to shut up and let go. Click the link Free Hypnosis Recording to get your free “Stop worrying and create a wonderful life” hypnosis download so that you can experience the positive benefits of hypnosis for yourself.